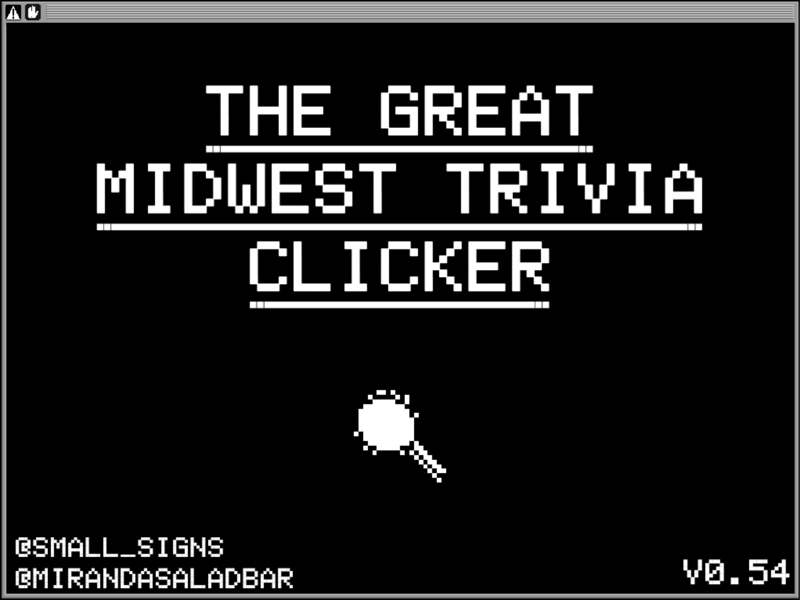 Welcome to the Great Midwest Trivia Clicker! 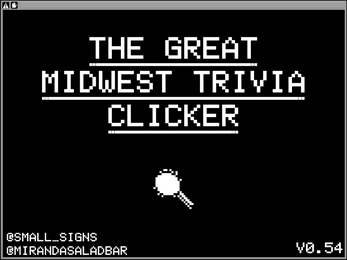 Earn armadillo dollars$$ and build up your Great Midwest Trivia team in this Official GMTC 54 Trivia Clicker! What is the Great Midwest Trivia Contest? The GMTC is the longest continuous trivia contest in the United States! Every year students at Lawrence University take to the radio the last weekend of January to run a 50 hour straight radio contest. Starting Friday evening at 10:00:37pm CST you can tune into wlfmradio.lawrence.edu to listen along! There is one question asked every 5 minutes for the course of the 50 hours. 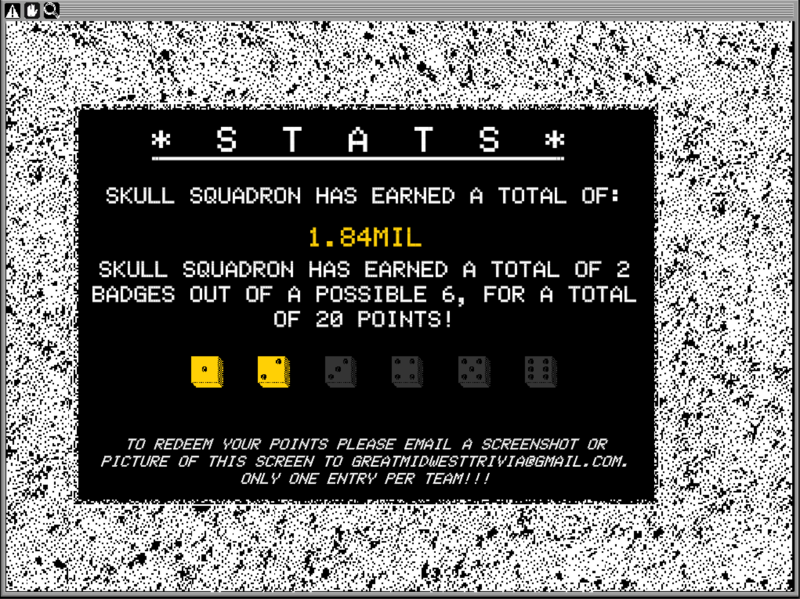 Do I have to know a lot of trivia to be good? No! All you need to succeed in trivia is a trusty search engine, and a reliable internet connection. The contest is a celebration of the most joyous/weirdest/silliest/experimental-ist reaches of the internet, as every 5 minutes you're sent on a new treasure hunt to scramble to unearth another delightful oddity from the enormity that is the internet. Yes! Anyone can play, all you have to do is call into: (920) 832-7148 to register your team name. A team can have any number of players on it. How do I play the contest? Once you've registered your team, tune into wlfmradio.lawrence.edu during the contest, and when you think you have the answer call into (920) 832-7148 and provide your team name and answer and you'll be awarded the points if correct. 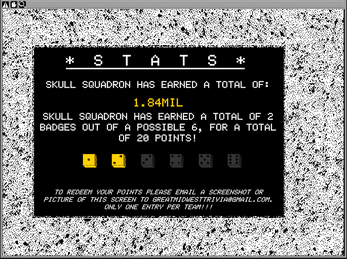 At the end of the contest all the points are tallied up and the team with the most points wins! Okay, so that's all well and dandy, but then what the heck is this clicker? Glad you asked, I was getting back there. This clicker is an official part of the 54th GMTC, happening from January 25-17th 2017, as well as a love letter to all things trivia! You're invited to play the clicker before, during, and after the contest! However, if you do play the clicker and participate in the 54th GMTC then you're eligible to win up to 40 additional points for the contest! I'm only a few thousand dillos deep but I want to say: No price is too great for this amazing game! 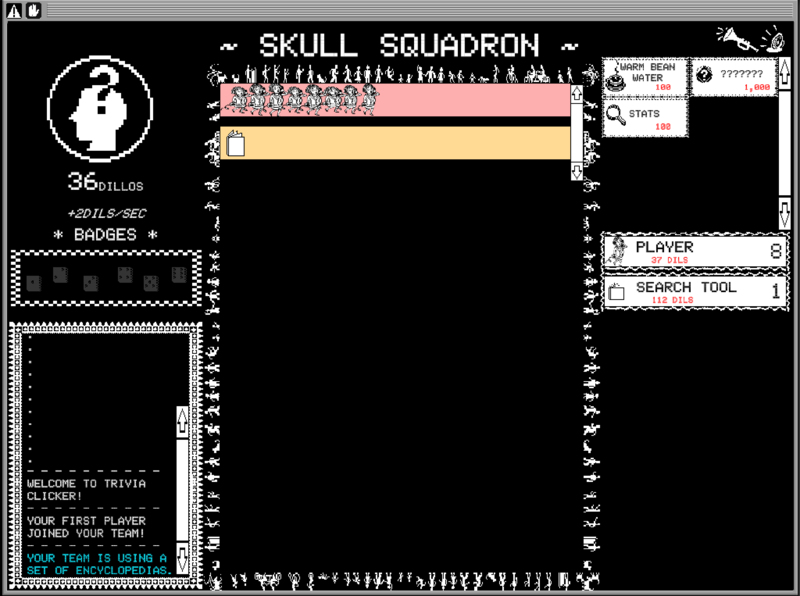 Also, my heart bleeds for Hypercard! So many good clicks. Five+ clicks! Will definitely click again!